How we all hunger for this love. but most of all: unconditional. You wore a recycled name. the first Vincent, had died. like the ardent lover I imagine you could be. Winding out from floral button cores. Eye-popping sunshine at the brush mark’s rim. Ochre, rust, sienna, shimmering verdant leaf. Dear Vincent like you, a wild, intense tourmaline sky. Melinda Rizzo is a freelance writer and reporter, living in rural Bucks County, USA. She shares a nearly 200-year-oldfarmhouse with husband Phil, their son Adam and a black Labrador named Caleb. The large kitchen - centrally located on the first floor - is the heart and soul of their home. 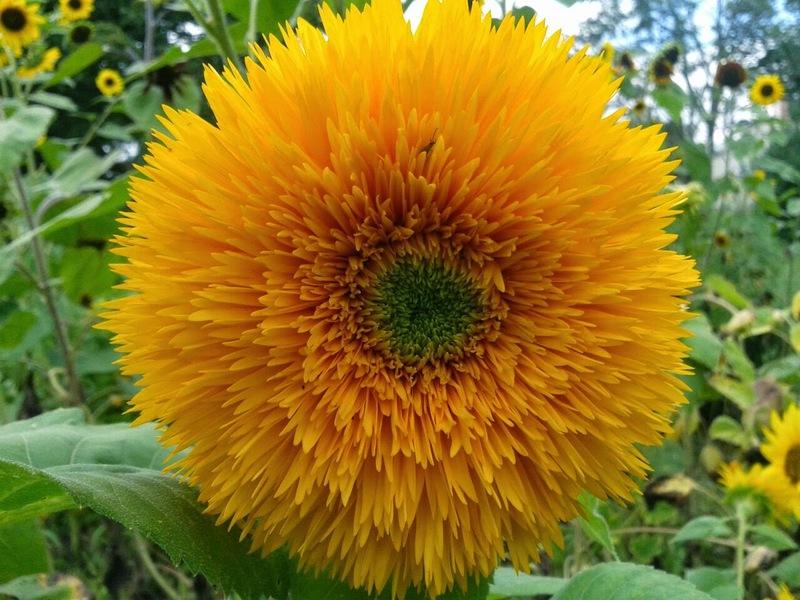 Every summer, she grows a wild-eyed variety of sunflowers.